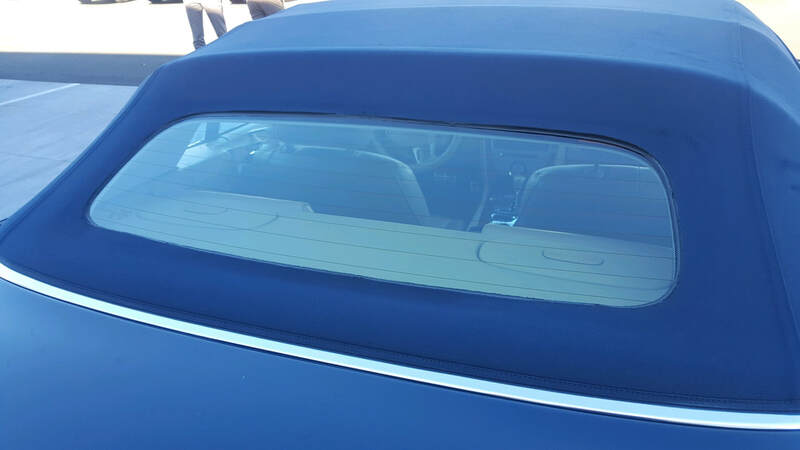 Canvas convertible tops often shrink overtime causing the adhesive that holds the rear glass window in place to fail. When this happens water can leak in to the car and cause even more damage. Most manufacturer’s service departments will tell you the entire convertible top must be replaced, often costing thousands of dollars. This just simply is not true. We can reattach the glass for a fraction of the cost of a new top. And we guarantee it.